I thought we should share these Squirrel S’more Pops in honor of boys pet Magnus! 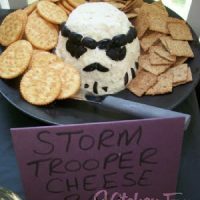 They are easy to make! 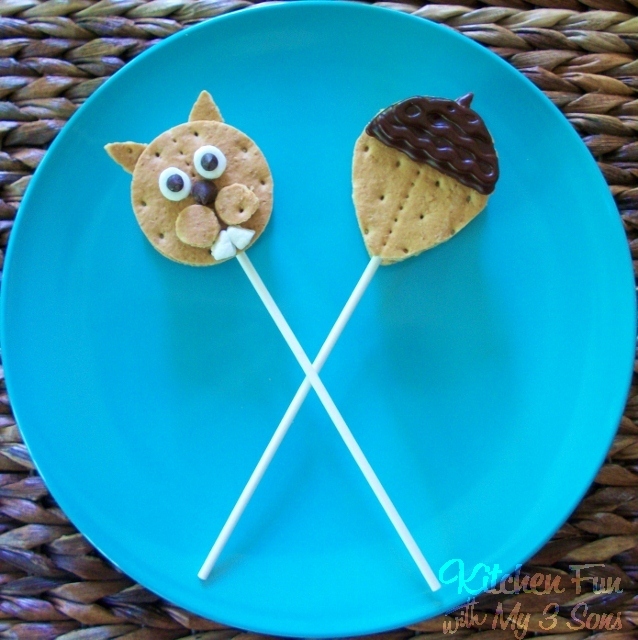 All you need is Graham Crackers, Jumbo Marshmallows, Chocolate Cookie Frosting, Mini Chocolate Chips, Mini Marshmallows and Lollipop Sticks. Squeeze the chocolate cookie frosting on the back side of the graham cracker shapes and place the large marshmallow on top. 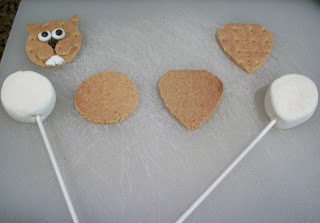 Squeeze more frosting on the marshmallow and place the other graham shape on top of that. Push a lollipop stick in the marshamallow. Attach the face details on with cookie frosting. 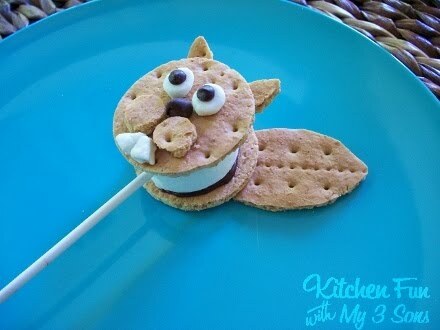 You could also attach a tail on the squirrel using frosting as well! « Previous PostPuppy Pancakes – Breakfast for Kids! 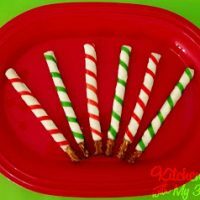 I made your cinco de mayo treats and the kids loved them. Thanks for sharing that great idea. I love coming to see what's next. This is so funny 🙂 The things we do for our kids! how cute and how sweet! Sorry to hear about Magnus. I had a similar experience with a baby bird when I was young. I think your s'more tribute is adorable and I hope it brought a smile to your boy's faces. Is there anything you can't make with graham crackers and marshmallows? I don't think so:) I love his tail! You and your boys must be very creative and fun! These look pretty and delicious. Joined you on GFC and followed you on Linky, from Welcome Wednesday. How sweet your boys are! Good job mama! You are very talented and creative! Awww… Poor Mangus! But those pops are too cute! 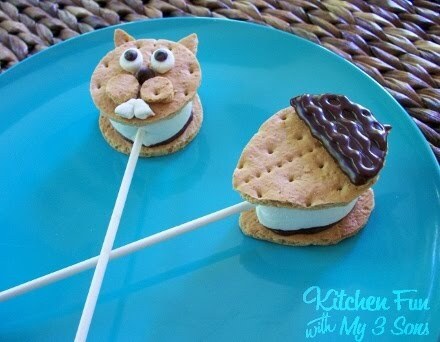 And my boys are totally all over s'mores! They probably at a cow's worth of gelatin last Summer! these are so adorable!!! love them! Do I even have to say this??? 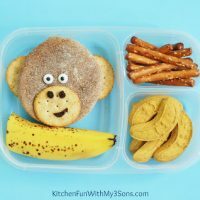 Yes, I'm pinning these 🙂 Thanks so much for sharing at Mom On Timeout!